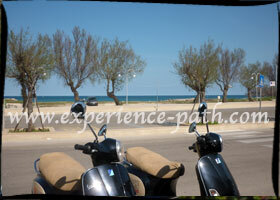 Tour Puglia on a Piaggio Vespa 125, enjoy an escorted or self-guided scooter holiday, smell the air and cruise both, the countryside and Adriatic coast of Puglia. 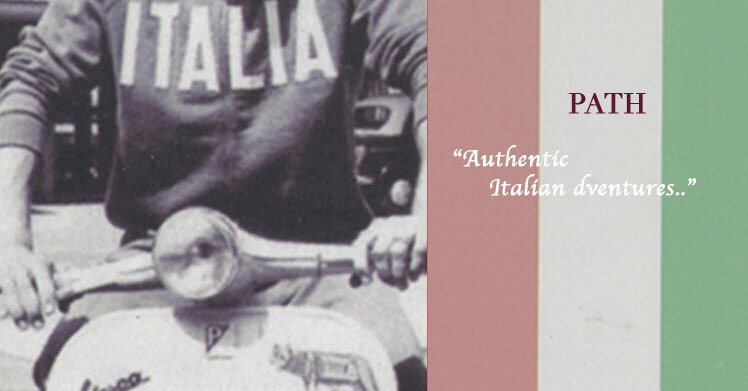 Our Vespa holidays are the ideal choice to explore Puglia unspoiled villages and azzurre sea line at your own pace, but with the confort of our loca support. 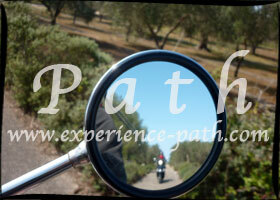 All itineraries in Puglia by Vespa feature a selection of quite country roads with virtually no traffic. You will be ruising ancient olive groves and primitivo grapes vineyards, with plenty of opportunity for independent sightseeing and food tasting adventures. 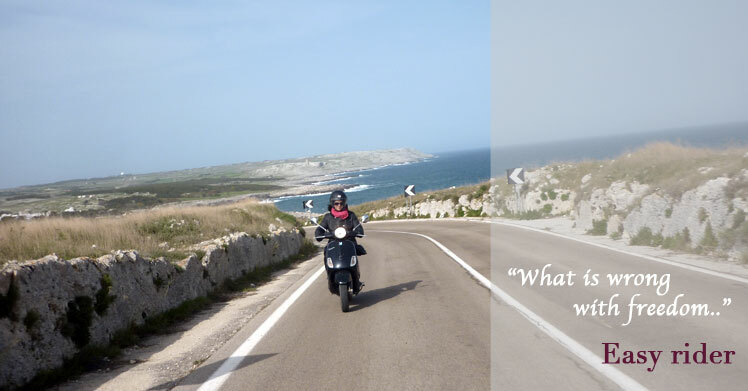 step 3: follow our routes and instruction to start you touring Apulia on two weels, roll into small villages on a vespa and enjoy the freedom of a new adventure. 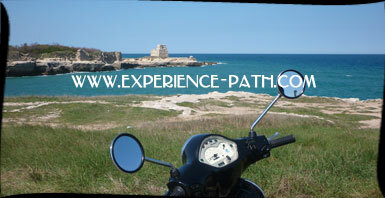 All Vespa tours in Puglia can be tailor made and are recommended for single, groups or families. All scooters on this holiday are modern 125ccGTS Vespa with an electric start and automatic transmission. 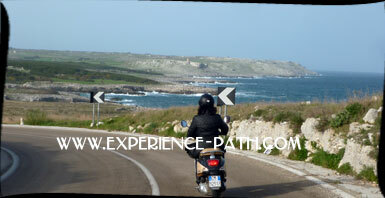 You Vespa tour of Puglia start from Monopoli, charming fishing town overlooking the Adriatic sea just 40km south of Bari. At arrival after a check in at your hotel and the Vespa set up you'll be ready for your first loop ride to explore the coast south of Monopoli , its sandy beaches and roman ruines. Continue your vespa tour in Puglia cruising the Itria Valley and the charming hill top town of Locorotondo stop at local maker for a tasting of local "caciotta" and "primo sale" freshest cheese, and delight your sense with an earthy meal in the elegant and baroque Martina Franca. your tour continue with a loop ride to explore by Vespa the sleepy villages surrounding Lecce, the old Masseria and farm houses, the fortified town of Acaia and the natural reserve of Le Cesine. cruise th ionian coast to reach the fishing town of Gallipoli, stroll the old town located on a limestone island, linked to the mainland by a brick bridge built in the 16th century, and rest on the fine sand of Lido San Givanni only two kilometer south of the town. 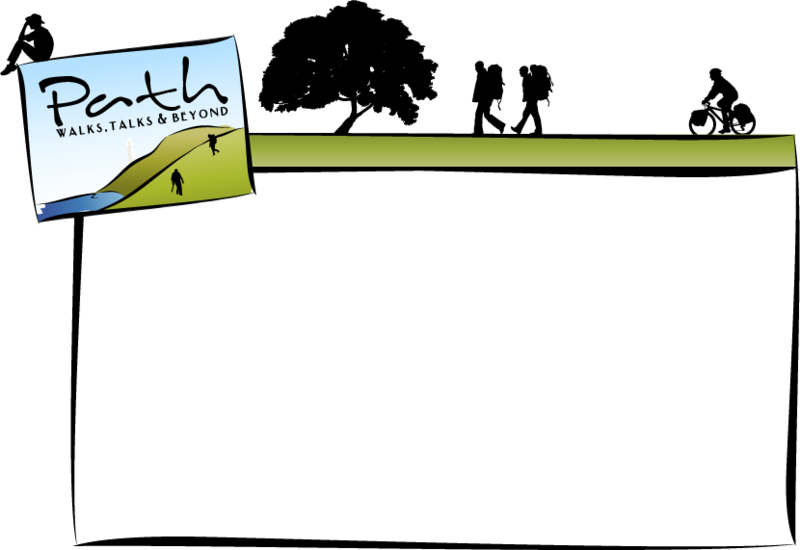 Please ask for a customized tour and quote. 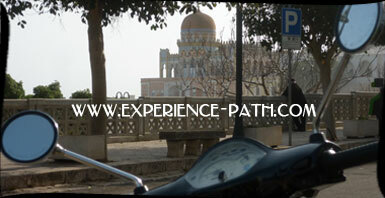 Unspoiled landscapes, luxury hotels, delicious local food & wine, cultural tours. 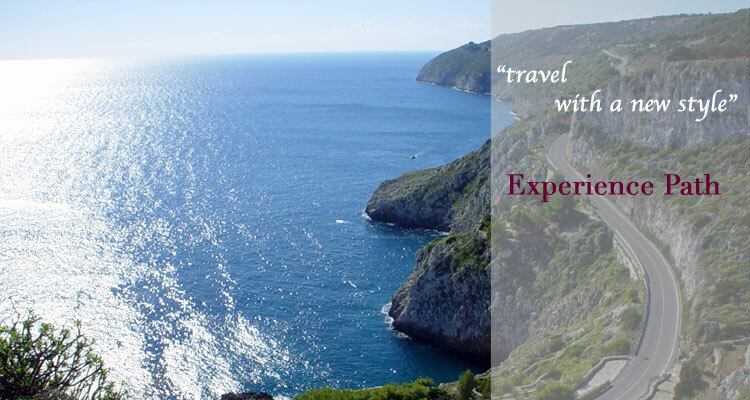 We recommend to fly into Rome or Milan and catch a domestic flight to Brindisi. As an alternative you can reach Lecce by train, daily departures are available from Rome, Florence or Milano, check Trenitalia for timetable and purchasing.